Recently I began working with a young man and the first thing I noticed was that I could barely understand him when he spoke. It didn’t take me long to realize that this young man had a terrible speech problem, but that is not why he was seeing me for counseling as I am not a speech therapist. His mother had asked that he receive counseling because of his low self-esteem. Well within a few sessions I was able to link his low self-esteem to his speech problem and asked his mom if she ever thought about getting him a speech therapist. I was shocked when the mom told me that he had been referred to a speech therapist five years ago, but she thought he would grow out of it and never got him help. Again, denial comes into play here. Her denial of her son’s speech problem caused her to neglect getting him the help he needed and now at twelve years old he is being teased by other children and is uncomfortable speaking so his self-esteem is extremely poor. Imagine if she hadn’t been in denial five years ago and actually got him the help she needed, perhaps he wouldn’t have developed the self-esteem issues that he is currently receiving counseling for. When I told the mom that I was pretty sure his self esteem issues were tied to his speech problem and I recommended that he start receiving speech therapy she was shocked and honestly sadden. She had been in denial even up til that day that his speech problem was that serious. She quickly went and got him a speech therapist which she should have done five years ago. Now this young man is working with me on his self-esteem issues and the speech therapist for his speech problems and as his self esteem increases and his speech improves I am positive he will start living his life fully, the way he should have been all along. I was speaking with a friend of mine today who is also a fellow counselor when we got on the subject of emotional detachment. It wasn’t until then that I had a sort of “aha moment” and realized that even just the word detachment gives me an ill feeling and saying it feels like I am saying a four letter word. See, I have an issue with detachment, it’s one of my flaws. I often hold onto people (and things) far too long out of fear of letting go, even when letting go and detaching is exactly what’s needed to free myself and the other person. I know from my clinical work that many other people also suffer from detaching from bad relationships, bad friends, bad family members and bad situations for many of the same reasons I do. Some people I’ve counseled are so attached to toxic relationships that they can never truly realize their potential if they don’t learn to detach. What ends up happening for me and countless others who stay in situations/relationships that they should have let go is a build up of resentment, anger, and often times decreased self-esteem and self-efficacy. Detaching can be hard and confusing because there isn’t always a right or wrong time to do it. If we detach from a person too soon we may feel like we didn’t try hard enough to make it work or that we gave up too easily. There is often unclear lines between not trying enough and trying too hard. And sometimes there are control issues at play. We don’t detach from a person or situation because we are trying to control that person or situation. For example, a woman may have a hard time detaching from an abusive husband because she really loves him, thinks that if he just calmed down and quit drinking he’d be an awesome person, so she stays in that volatile situation trying to change/control him although detaching from him would serve her better. A man may stay with a cheating wife who disrespects him over and over because he thinks he can “make her” love him and only him. And then there are people who detach too easily, never allowing themselves or others the opportunity to nurture relationships and situations. You have to be listen to your heart and know when it’s time to let go, even if letting go is the last thing you want to do. Detachment to me often times feels wrong even when it’s right and that is something I have to work on. It makes me stay in bad relationships and friendships far too long thinking that detachment is betrayal and telling someone “I don’t care about you any more”. In reality, detachment is a form of self-care and we all need to know how to care of ourselves and be responsible for ourselves and let other people be responsible for themselves. Detachment is also a form of setting healthy boundaries and not allowing others to take advantage or hurt us and vice-versa. Detachment is not a bad word or a bad thing to do when it becomes apparent that it is what’s needed. Detachment doesn’t mean that you don’t care about the other person, but that you do care enough about yourself that you won’t allow yourself to keep getting hurt, used or neglected, and that you care enough about the other person to let them go. Sometimes we have to detach ourselves from people we like or even love. Setting yourself and setting someone else free is sometimes the best gift you can give to yourself and that person. Detachment is easier from some than for others. If you want more information on detachment and letting go, check out The Language of Letting Go by Melody Beattie. It is one of my favorite books. Today I’m going to talk about forgiveness. It took me a long time to become a convert to this way of thinking. For quite a few years, especially as I was working with traumatized and abused children, I believed that people, especially abusers, did not deserve forgiveness. I did not forgive people in my own life as well. It turns out, I just didn’t understand what forgiving really means. Working as a counselor in a high school, I am surprised at the amount of abuse many young girls I work with have gone through. Not to mention the sexual, physical and psychological abuse many of them went through growing up, but how much of that has affected them now as teenagers. A surprising amount of young ladies in high school, and perhaps even in middle school are involved in physically abusive relationships. Having dealt with many of these young ladies, I’ve recognized that many of them believe that if a guy doesn’t hit or get physically rough with them, then “he doesn’t really love me”. 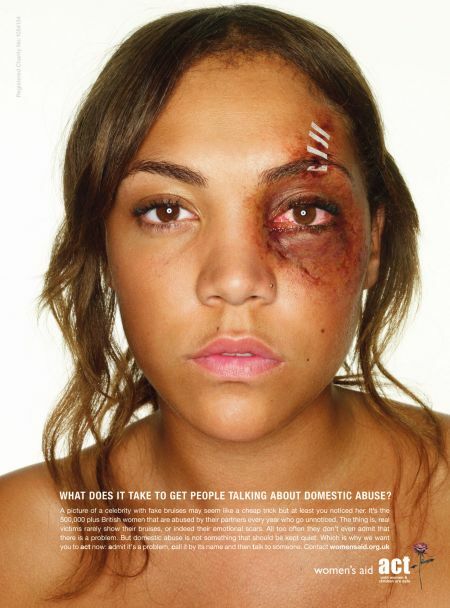 This may not make any sense to most people, but a lot of these young ladies have grown up in homes where the people who “love” them, especially the men in their lives, are often the same people who abuse them, so many of these young ladies have subconsciously equated love with violence, manipulation and fear. Also, since many of the people who these women look to for protection, they also equate physical violence with a guys ability to protect them, even if it’s the guy himself they need protecting from. I’ve had young ladies tell me that they would break up with a guy if he didn’t hit or push her when she got “out of line” because they believed they needed a man who was strong enough to keep them “in line”. They would say, “Sometimes I get get out of control, get a smart mouth and act a fool. I need someone who can put me in my place.” In most cases, these young women grew up in families where men (their fathers’, mother’s boyfriends, uncles, older brothers, etc.) physically, sexually and/or psychologically abused them. Earlier this year I was walking through the halls of the high school I work at and heard yelling and shouting. 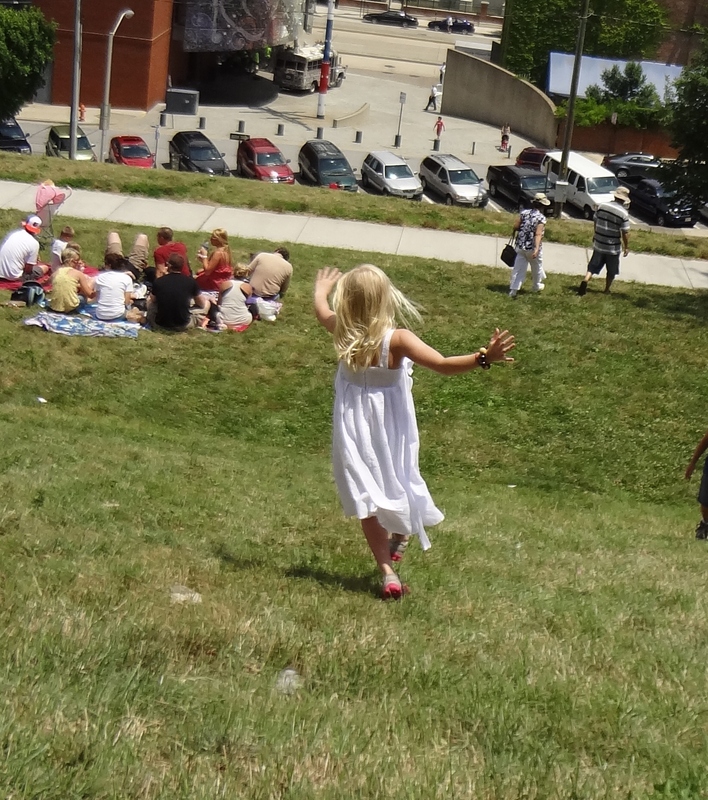 I turned the corner and saw a boy attacking a girl. I quickly got between them and he was enraged, evening threatening me, but I didn’t care, I was more concerned about the young lady he was attacking. He quickly told me that it was none of my business and that was his girlfriend. I stayed between them waiting for assistance and then he walked away. I asked the young lady if she was okay, and shew as crying, but said she was okay and she was tired of him hitting on her. I tried to talk to her, but then he yelled for her to come with him and to my surprise she left and went with him. I tried to stop her, and by the time other teachers and security came they had walked off campus. I was so upset with the whole situation that it took me a few days to get it out of my mind. I never got the young lady’s name or I would have called her in and offered her counseling in hopes that with knowledge and empowerment she would leave that unhealthy relationship for a better one. Also in college I dated a girl who had been physically abused by her father to the point that she was removed from her home. Ever since then and up until we met, every guy she dated physically abused her and I mean beat her like she meant nothing to them, leaving her with bruises and bloodied lips. She never learned how to separate love from abuse once it had forged together in her head. I find this to be very sad and dangerous and is one of the issues I work extremely hard to correct because these young ladies are putting themselves in extremely dangerous situations that if not corrected will effect them for the rest of their lives along with any children they have. Girls who grow up witnessing violence, even if it is just heard or sensed (through tension, visual cues) are more likely to date guys who will put their hands on them and boys who grow up in that same situation are more likely to think it’s okay to put their hands on women they claim to love. It’s extremely important that if you are the victim of abuse that you get help. Check out http://www.thehotline.org or any other resources in your area. 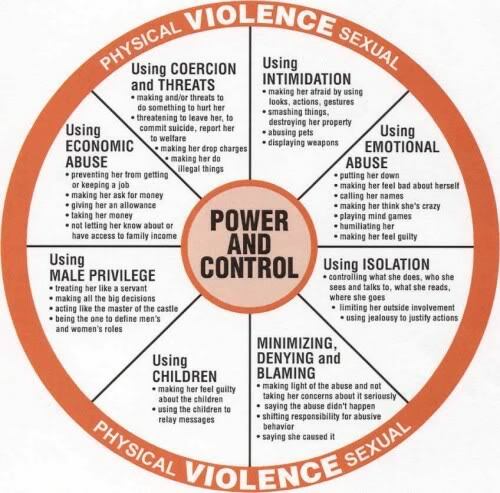 Look at the Cycle of Violence and the Power of Control wheels below. It doesn’t get better, only repeats and gets worse. As a therapist there have been several times in my career when I have felt the classic symptoms of what is known as compassion fatigue, also known as secondary traumatic stress disorder. Compassion fatigue is the gradual decrease in compassion one feels for others over time. It is common not only in people who have been affected by trauma, but also in those who work directly with people who have been affected by trauma including those working in helping professions such as doctors, nurses, counselors, and welfare workers. Compassion fatigue is also common amongst lawyers and there is growing concern that the general population is often subjected to compassion fatigue due to the media’s constant coverage of disasters, violence and suffering. Compassion fatigue can also been seen in charitable given. Such as if there is a major earth quake today the number of people giving charity may decrease as people grow frustrated with the way donations are handled or with the sheer size of the tragedy. People suffering from compassion fatigue often feel hopeless, anhedonia (have a decrease in experiencing pleasure), negative attitude, and ongoing stress and anxiety. 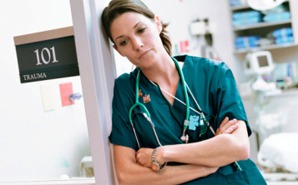 In some cases compassion fatigue can be so bad that it’s effects can be similar to post traumatic stress disorder, which is why it’s often called secondary traumatic stress disorder: the person experiencing secondary traumatic stress disorder may experience fear, anxiety, nightmares and avoidant behaviors after hearing about a traumatic event from a client/patient as if he or she had experienced the event themselves. The person experiencing compassion fatigue can show decrease in productivity, self-esteem, feelings of incompetence, self-doubt, difficulty focusing and other signs that often resemble depression. These can effect both the persons personal and professional life. Usually I feel compassion fatigue after many months of intense, often frustrating therapeutic work, no vacation, and little to no outlet to express my feelings and thoughts about my work or even about my personal life. What happens is that I find myself becoming easily irritated, frustrated and aggravated. I tend to have less energy and patience overall, especially when it comes to dealing with difficult clients. All of this makes it hard to really be present during sessions and when I get home I find myself wanting to be left alone with my pessimistic thoughts about myself, my work and the world at large. A good therapist recognizes these signs and symptoms and knows when to take a break before compassion fatigue starts to impact them, their clients and those around them negatively. It is important for all of us to recognize when we are suffering from compassion fatigue so that we can start taking care of our self. Taking a break, a vacation, talking to someone or just disconnecting from the world for a while may be needed (i.e. if someone is suffering secondary traumatic stress disorder after watching hours and hours of footage of a terrorist tragedy on CNN). We must all learn when we need to take a break and how to practice self-care, a discussion for another post. As for me, I’m taking on a lighter case load which is typical for me during the summer, and I am also taking a vacation in July as well as trying to get back to some of the things that make me feel at peace with myself such as reading, writing and drawing. I know that once I have taken care of myself, I will be better capable of helping others learn to also take care of themselves. I have two close friends who are both first time mothers to be and although both are in healthy relationships and are overall healthy individuals, both of them are incredibly stressed, so much to the point that they both at times get very dysthymic, have trouble eating, sleeping, being intimate, feeling attractive and are easily irritable. When asked what exactly they are stressed about, they both answered that they are worried about being good mothers, about being financially secure enough to properly take care of their child, how their child will change their lives and mostly, if their child will be healthy despite all the signs that they are having a normal, healthy pregnancy. I found that last part to be very interesting. Their biggest concern was that their child is developing normally and that they will have a healthy child, yet the stress that they are experiencing may play a vital role in the health of their baby. We all experience stress and pregnant women often experience stress more than any of us. Often times women who are pregnant are busy trying to run house holds, hold down jobs and balance a busy schedule. While stress is normal, how much stress is too much and does it affect the fetus? It used to be considered a myth that too much stress affects the unborn child, but researchers, including Dr. Calvin Hobel, a perinatologist (an obstetrician who practices maternal-fetus medicine) in Los Angeles who studies the affects of stress on pregnancy, are providing more and more evidence that stress is bad for pregnant women and their unborn child. Stress not only increases the risk of pre-term labor, but also a number of problems after the child is born. Some of the most recognizable effects of maternal stress on pregnancy: pre-term births and low birth weight. Baby’s who are born premature (before 37 weeks) are at risk of many complications later such as developmental delays, learning disabilities, chronic lung disease, pervasive developmental disorders, and even death. There is even research suggesting that babies who express stress in utero are more likely to suffer from heart disease, diabetes and high blood pressure as adults. More recent evidence is pointing to stress in utero affecting the baby’s temperament and possibly IQ. Baby’s who experience a lot of stress in utero are more likely to show signs of depression and irritability and are less likely to tune out repeated, unimportant stimuli, a predictor of IQ. According the the biopsychosocial model, we are who we are determine in part by biological, psychological and environmental influences. Mother’s who experience a lot of stress and anxiety during pregnancy are bathing their unborn child in those chemicals that affect the baby. Stress causes the mother’s nervous system to stimulate the release of epinephrine and norepinephrine which are stress hormones that restrict blood flow and oxygen to the fetus. Research also shows that the placenta in pregnant women who are stressed, releases more corticotropin-releasing hormone (CRH) which tells the body how long a pregnancy should last and helps the fetus reach maturation. This is probably largely responsible for the increase in pre-term birth and low birth weight. Somethings pregnant women can do to relieve stress include yoga (not strenuous yoga of course), biofeedback, guided imagery and deep breathing techniques. Also, having a great support network is crucial. It is important for the pregnant woman to slow down when she starts feeling stressed, even if that means cutting back on certain things and delegating tasks to others. Pregnant Women Should Take this Questionnaire! One way to measure your stress is to take this questionnaire developed by Dr. Hobel. For every question answer “yes”, “no” or “sometimes”. If you answer “yes” or “sometimes” to three or more questions, Dr. Hobel believes you may be stressed enough to warrant talking to a counselor or your physician to help put together an intervention to help protect you and your unborn child from stress. Have you and your partner or spouse had any problems? Have you been threatened with physical harm?